If there’s one slot we’ve seen tonnes of knock-offs, versions, and source for inspiration, it’s Novomatics Book of Ra. Today we’re taking a look at Book of Ra Deluxe, which is a follow-up title from the original. The video slot has five reels and three rows of symbols. The primary symbol is the book, which will grant free-spins with a randomly selected special symbol. The theme is something between Egyptian and adventure. One of the highest paying symbols is an adventurer. RTP is at 95.1%, and volatility is in the medium to a high area. Book of Ra Deluxe is all about Egypt, ancient scriptures and treasures you might find on your adventures raiding tombs and what not in Egypt. The higher paying symbols are the book, which doubles as a scatter and a wild symbol, the adventurer, a Pharao, Sphinx and jeweled scarabs. Also, we find the standard card symbols. The buttons are the standard Novomatic buttons, and you can choose to auto-play and change wager amounts. Overall the design speaks video-slots the classic way. - familiar symbols mixing in with unique ones, brightly colored pay lines, and a soundscape that matches this old but gold casino feeling. 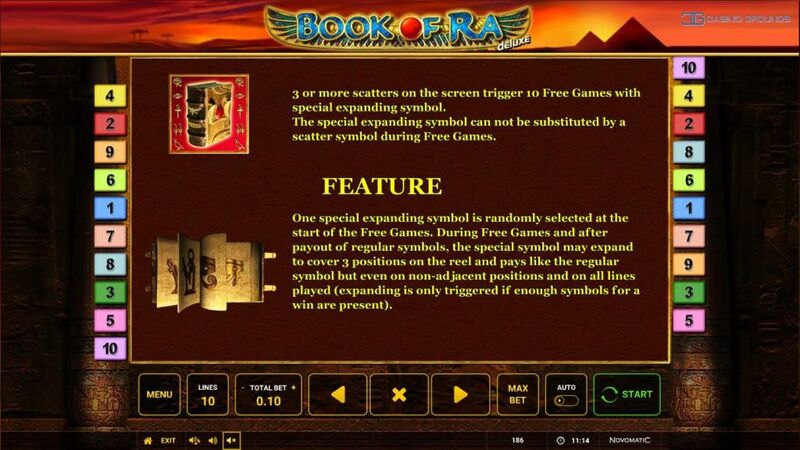 Now, we’ve only mentioned one special symbol in Book of Ra Deluxe, which is the Book itself. Now, this might seem like a tad feature poor. The book acts as both a wild symbol, scatter, and a feature trigger. - in other words, we still find tonnes of features packed into a small package. During the main game, three or more scatter symbols will activate the feature spin, which will convert a random symbol into an expanding symbol throughout the whole feature spin. The special symbol may expand to cover the reel after normal symbol winnings have been paid in a spin. The symbols also pay on non-adjacent reels (For example symbol is on reel 1, 3,4 you will still win. The symbol will only expand if there’s a possibility of winnings. Win additional free-spins by landing more scatter symbols on the reels. During the main game, and feature spins, the scatter symbol will act like a wild, replacing all other symbols on the reels, amping up the RTP a bit. The feature displays a deck of cards, and you are to choose the color of the next card. 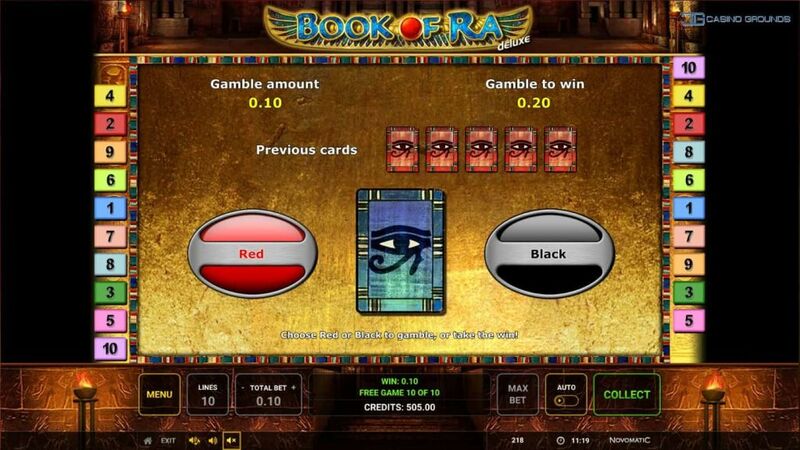 Any winnings in Book of Ra Deluxe can be gambled away or doubled. This standard feature is activated by the gamble button which will light up for any winning spin. 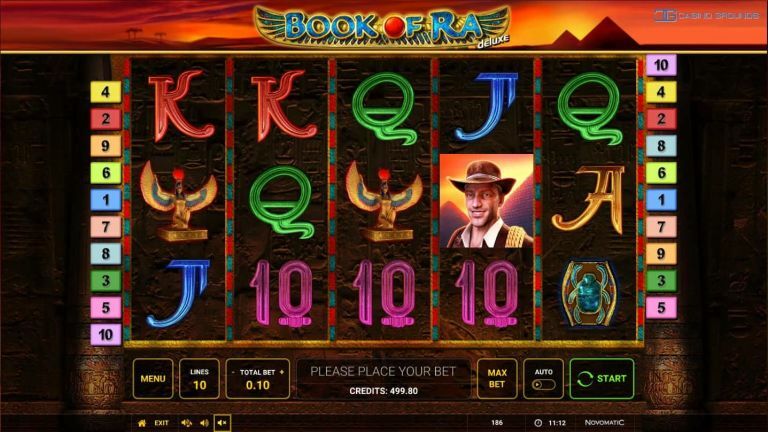 Book of Ra Deluxe is one of my absolute favorite slots out there and is my go-to video slot when visiting the casino and the tables are giving me a hard time. I love the classic feel of this slot, and how innovative it was when first released. 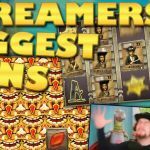 Our very own in-house streamer slotspinner loves Book of Ra, and spin-offs as well. 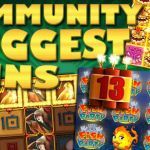 With almost ten years online, this slot has a huge fan base and a strong presence in most serious casinos. Had a good run, bad beat or want to share some thoughts on this classic? 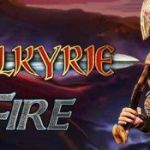 Join the discussion in the forums!